FREE Family Fun at Vincent Massey Park! Jump into the fun with our thrilling inflatable “Stunt Jump,” encounter live Birds of Prey, then test your skills on our Rock Climbing Wall. There is a giant inflatable slide and toddler zone and non-stop live entertainment, including Raven on Stilts. Watch, learn and participate at our From the Land Arts & Crafts Pavilion and see indigenous chef’s in action and sample some tasty bites in the Indigenous Culinary Arts Pavilion. There is an Algonquin Language Maze for kids and an Algonquin Bingo (fun prizes! Friday night & Sunday only). Browse our Indigenous artisan market where you can buy handcrafted souvenirs and delicious food vendors tempting you with authentic and familiar flavours. We have exciting family-friendly entertainment all weekend on our Celebration Stage, and APTN will thrill us with emerging local performers and top talent from across Canada for Indigenous Day Live on 23 June! Are you fearless? Are you ready for an exhilarating experience? Our new Stunt Jump is an experience like none other. Climb 14 feet high to the top of this safe, but thrilling inflatable that will no doubt be one of the highlights of your day. Look down at the bright red bulls-eye that will direct each into our cushioned, shockproof landing zone. Are you ready to take the jump of your life? JP Longboat is a Storyteller, Multi-disciplinary Artist and Performer. He is Mohawk, Turtle Clan from Six Nations of the Grand River, Ontario, Canada. Algonquin Language Bingo is a fun way to learn (or practice!) the Algonquin Language. Each game is 5-10 minutes. Simple one line / letter X / full card. 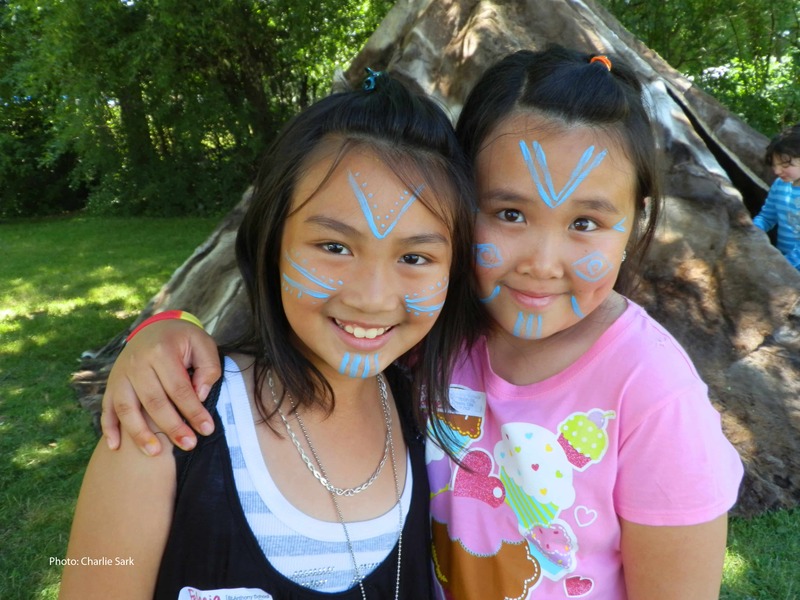 Join Indigenous Walks on a guided tour of Vincent Massey Park on June 23 & 24 during National Indigenous Peoples Day celebrations and learn about the origins of Summer Solstice, history of NID, pow wow protocol & general overview of what the grounds have to offer. Please sign up at the Info booth. Look for the Indigenous Walks logo. Encounter Birds of Prey and their continuing role in our natural world. In each demonstration, birds will be featured from around the globe. Your presentation may include a Turkey Vulture, Bald Eagle, Golden Eagle, Barn Owl, Great Horned Owl, Eagle Owl, Peregrine Falcon, Lanner Falcon, Ferruginous Hawk, Red-tailed Hawk, Harris Hawk, American Kestrel or a host of other birds! Each one of these birds is fascinating and unique in its own way. Test your skills on Ry J’s 24 ft highRockwall! No experience is necessary. Rock Climbing is an amazing activity that provides many health benefits. Our mobile climbing wall offers four climbing routes and professional staff to make sure you get some instruction before climbing up the wall.